Commenting on my FAQ about where to find things like replacement chrome soap dishes and other bathroom hardware parts, reader Lauren suggested we take a look at the Larsen Supply Company. Indeed, it’s a keeper. 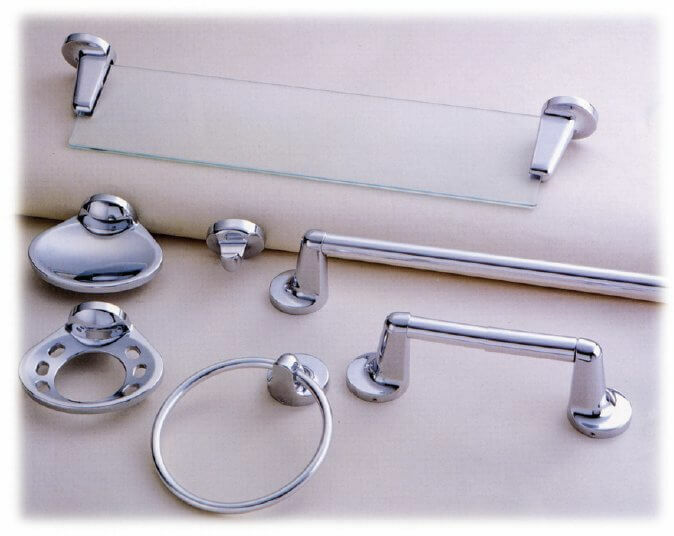 Looks like this company wholesales a line of reproduction Hall-Mack bathroom hardware — repro Coronado towel bars and rings, a soap and toothbrush holder, a toilet paper holder — and two styles of robe hook in a size I find most desirable. I also like the look of the Modern line, and especially that matchy matchy glass shelf on chrome brackets. 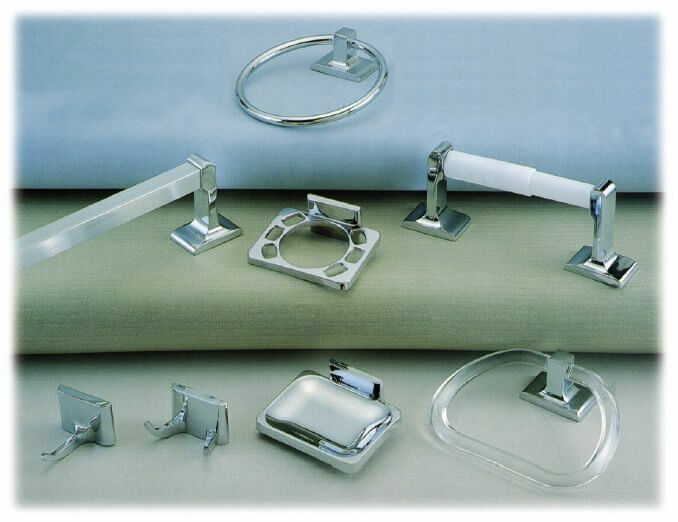 In addition, take a look through this catalog, and you will see that Larsen has a 1920s or 1930s simple, “Decko” line of bathroom hardware… and, they have numerous options for parts. Now, if you want these… you are going to have to track them down. Head over to their home page to see the retailers that they service, which include: Ace Hardware, Handy Hardware, HWI, Orgill Bros., and True Serv. Snaps to you, Lauren, many thanks for this great tip! As a manufacturer of Hall Mack-like reproductions, do you make the revolving tooth brush holder, or do you have any plans to? I’ve been trying to track one down and when they show up for auction or sale they are instantly scooped up and selling for around $300. , even though the condition could terrible. Have you ever considered bringing them back? Just bought 2 pieces, soap holder and tumbler holder, new in box on ebay for $30 with shipping. Can’t beat that. Check ebay. Hi! In my house, I have all Hallmack bathroom accessories in my bath room. I am trying to replace the towel rack holder. I can not figure out how the wall anchors are adhered to the wall. PLEASE! Could you look at one of the wall mounts and tell me, or show me what is on the back of this?